I have been horse crazy all of my life, growing up in Liechtenstein in the center of Europe in a non horsey family. Starting out with the traditional riding school lunge line lessons and graduating to the trot and eventually canter group lessons. As a teenager I had the opportunity to exercise other peoples horses in exchange for barn chores. 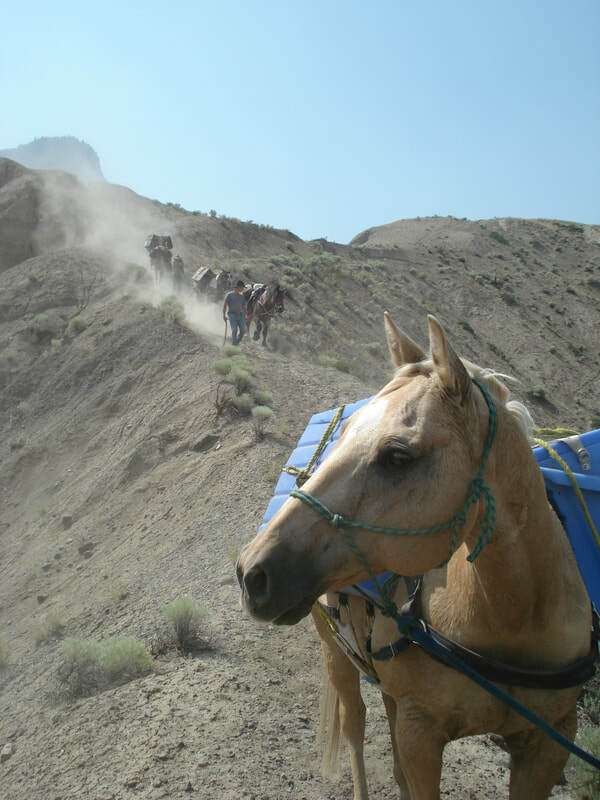 That was a time of trail riding, being more or less in control of the various horses I was allowed to ride, having several runaways and an assortment of other issues I didn’t have answers to at the time. It was however a fun time exploring the country on horseback with friends. 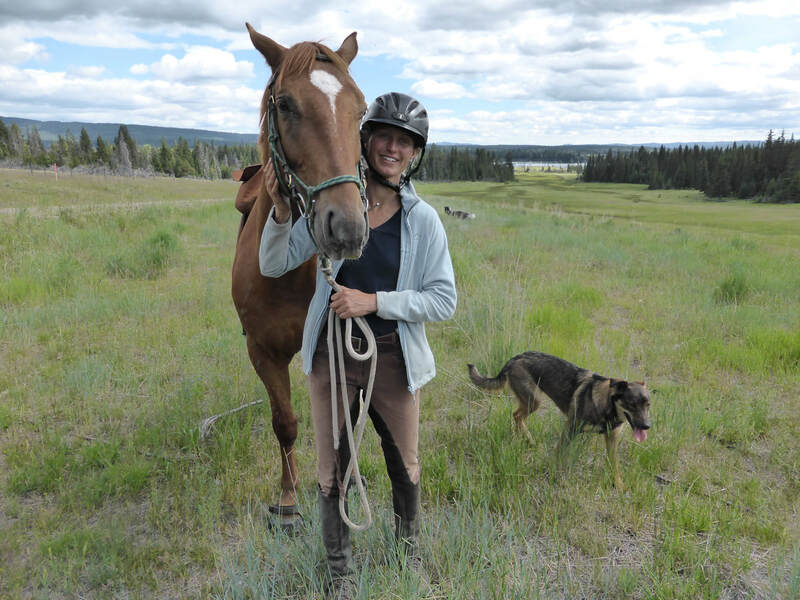 After high school the desire to learn more about horses led me to Arizona and Oklahoma for horseshoeing school and a course on starting young horses. Eventually at 21 I moved to BC Canada and experienced Guide-Outfitting with horses for a few seasons throughout BC and the Yukon, spending weeks on end together with a string of horses in the bush and mountains, having to rely on them for transportation really showed me how close the relationship can become with horses and how essential it is to recognize each horses strengths and weaknesses to keep everybody safe and happy. 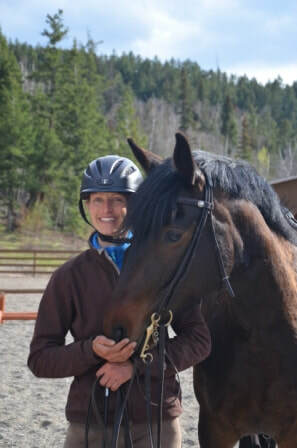 Feeling the need to learn more about finer riding and training technique, I enrolled at Fairview College’s Horsemanship program in Alberta Canada and became a EquineCanada Level 1 Western coach. Following college was practicum which I had the great fortune to spend with Yvonne LaBounty in Rock Creek BC who breeds and trains Quarterhorses after the principles of the late Roy Yates. I would have considered him a western dressage rider, he had learned a great deal from reading James Fillis one of the old French riding masters coming out of Baucher’s time. This is where my quest for dressage started. 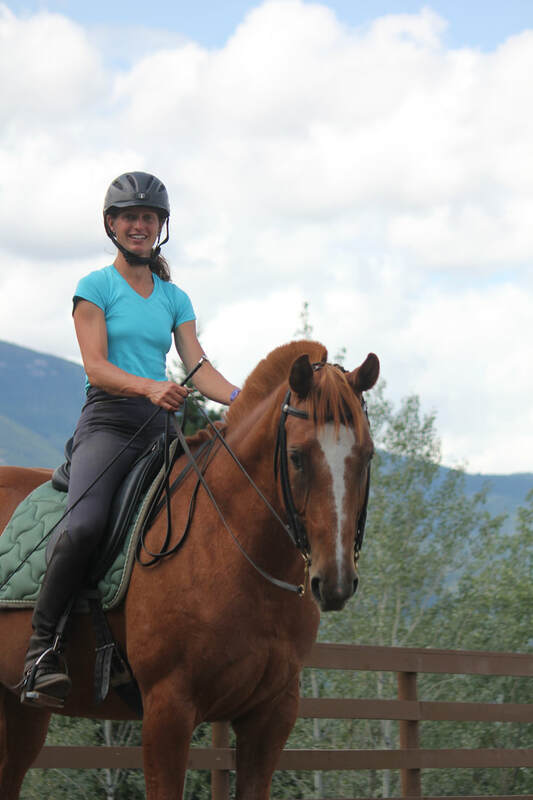 After taking a variety of lessons from competitive dressage trainers for several years and spending 4 months learning about jumping and eventing from Robin Hahn in Lumby BC to a few years of low level eventing I was more or less stuck at 2nd level Dressage with my QH gelding AJ. The desire to learn the higher level collected Dressage movements was big and not wanting to sell my good old friend for the sake of a more talented dressage horse it all had to be somehow possible with my downhill built QH. I was starting to doubt that the competitive style of dressage training would get me there and I was really missing lightness with my aids. That was when a poster of Philippe Karl, offering his teachers course only 2 hours away caught my eye. I had read his books previously and I was fascinated by his philosophies and so I applied and the rest is history. I truly believe I have found the missing pieces to my puzzle (although there is still a lot of assembling to do). I found lightness, balance, self-carriage and a lot more knowledge about how to train different types of horses adjusting to what their conformation and temperaments require. Its been now 6 years of clinics with Philippe Karl himself and his licenced teachers Bertrand Ravoux and Melanie Buhlman and becoming a licenced instructor of the school of Legerete myself 2 years ago. There is still so much to learn, it really is true that the more I know the more I realize I don’t know. I thank all of my wonderful horse teachers who have taught me so much over the last years and am excited for my newest partner Regalo a coming 5 year old Andalusian, lets see how far we can make it!